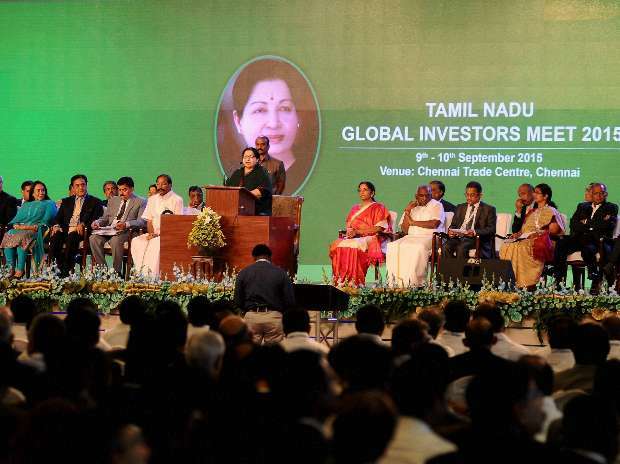 Tamil Nadu Chief Minister J Jayalalithaa interacts with the MoS for Commerce (Independent Charge), Nirmala Sitharaman, during the inaugural session of "Global Investors Meet (GIM) 2015" at Trade Center, in Chennai. 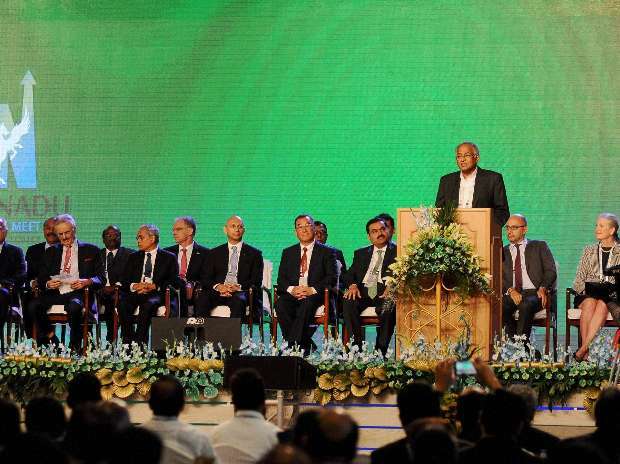 TVS Motor Company, Chairman, Venu Srinivasan, addresses during the inaugural session of "Global Investors Meet (GIM) 2015", at Trade Center, in Chennai. 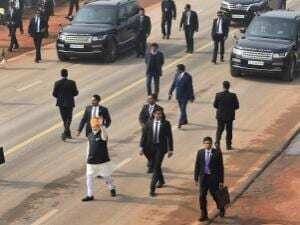 Tamil Nadu Chief Minister J Jayalalithaa leaves after the inaugural session of "Global Investors Meet (GIM) 2015" at Trade Center in Chennai. 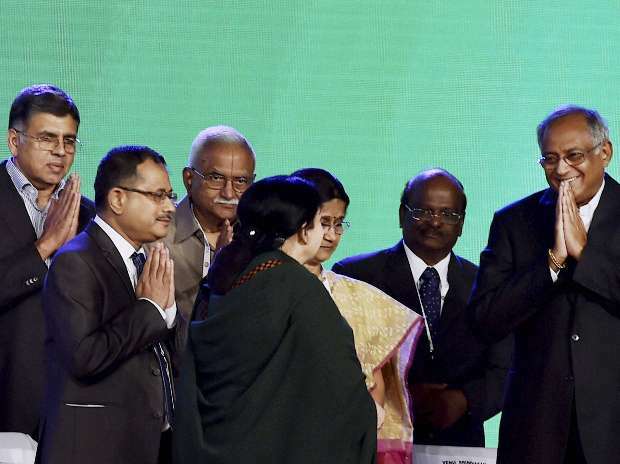 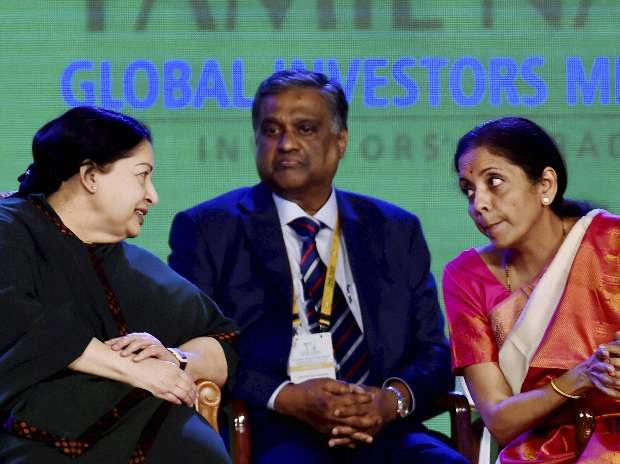 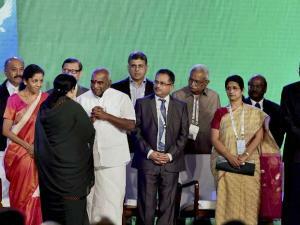 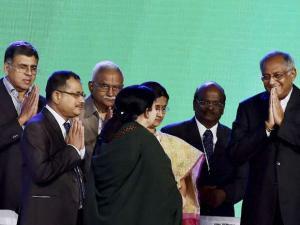 MoS for Commerce (Independent Charge), Nirmala Sitharaman looks at as the Chief Minister of Tamil Nadu, J Jayalalithaa, interacts with the industrialists, during the inaugural session of "Global Investors Meet (GIM) 2015" at Trade Center, in Chennai.